Wayna Inka Classic i Cusco, Peru: Reservér nu! Wayna Inka Classic is looking to be the reference in the hospitality industry both in local and international terms. In order to achieve such prestige, we offer an attentive service, being our mission the comfort and relax of our guests. 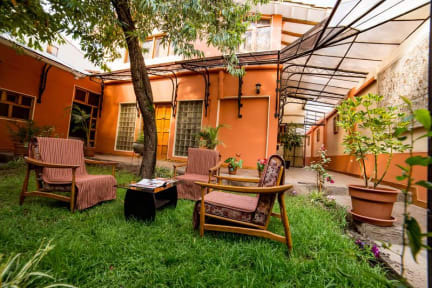 To reach such main objective, we have a specialized and well prepared group of people, who will bring the very best of our facilities and the city of Cusco to the guests and travellers. When it comes to location, our hotel is unbeatable. We are in the very center of the city, just a couple of minutes away from the most relevant landmarks and tourist attractions such as the Cathedral of Cusco, the Main Square of the city and the Inka Museum, amongst other landmarks that the city offers to the visitors. In addition, sin we are in the center, the guests can catch the public transport to visit other interesting spots that are in the outskirts of the city such as Muyu Urqu or Saqsaywaman. We offer diverse range of rooms that will suit and satisfy the needs of any kind of guests. We have private rooms, double rooms, which means both twin rooms and rooms for couples or marriages and triple and quadruple rooms perfect for families or groups of fellas. In addition, we have some common areas in which the guests and travellers can spend some of their free time. The reception is open 24 hours per day.